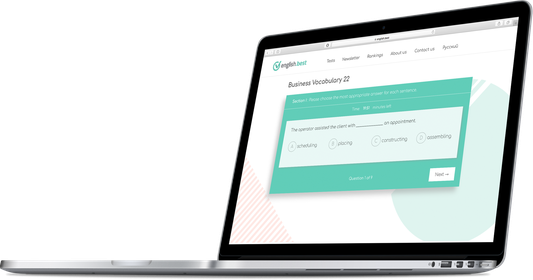 Our client is an entrepreneur who operates a website that features interactive English language exercises, quizzes and tests as well as a forum for language learners. The goal of the project was to redesign the existing website, to improve the structure and to add new features. The existing site has been online since March 2013, more than 15 years. The new site has enough scalability to grow and accommodate the ideas and projects for the next 5 years. The new site incorporates elements and principles of Wikinomics and caters to a global audience of language enthusiasts and entrepreneurs of the next generation. What are the main changes was required? In short, nearly everything. As a matter of fact, we built an almost entirely new site from scratch including a new domain while the old site is still live at the same time coexisting with the new one. What are the main features of the new website? a forum where you can receive instant assistance and support on any question you may have within a couple of minutes. 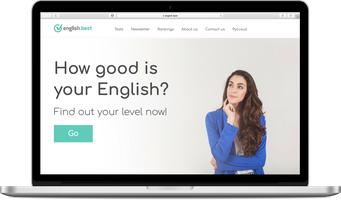 So, users can test their level of English, sign up for the newsletter and leave comments or contact us. What features are we planning to add? What have our developers implemented?  Our developers have created the assessment test with the following features: - three parts each featuring a different test question format, after answering all the questions, the user can see their score in each of the three sections as well as the overall score. The user also has the option to submit their test results to a separate page which shows their rank amongst all other users who have used this function, the test also displays one question per page which makes it easier to concentrate, in addition the test has a timer. Furthermore, the site has an about page, a page introducing our email newsletter in English and Russian, a Disqus comment plugin, a newsletter sign up form and a contact page with a contact form. The website based on Django CMS, it gives our client ability to change the content and to add new pages on the website by yourself. It was an important condition, because it’s expected to add a lot of new tests in the future. 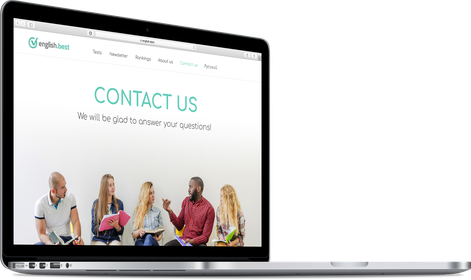 your team members have a diverse linguist background and are interested in learning languages."